LEWISTON, Idaho - April 23, 2019 - Speer is shaking up the shooting industry with two high-performance products it’s introducing at the 2019 NRA Annual Meetings & Exhibits in Indianapolis, Indiana, April 26-28, 2019. Attendees who stop by the Vista Outdoor booth no. 4955 will get a first look at new Impact component bullets for reloaders and Gold Dot G2 handgun ammunition, now released to the consumer market. The Speer Impact bullet blends tough, molecularly bonded construction with a high ballistic coefficient. Its groundbreaking Slipstream polymer tip provides an aerodynamic meplat, and its hollow core initiates expansion at velocities 200 fps lower than comparable designs. The combination results in deep penetration at mid-range, as well as extreme accuracy and consistent low-velocity expansion at long distances. These new component bullets are sold in 50-count boxes and are available in 140-grain 6.5mm/264 cal. and both 172- and 190-grain 308 cal., with MSRPs from $25.95 to $26.95. 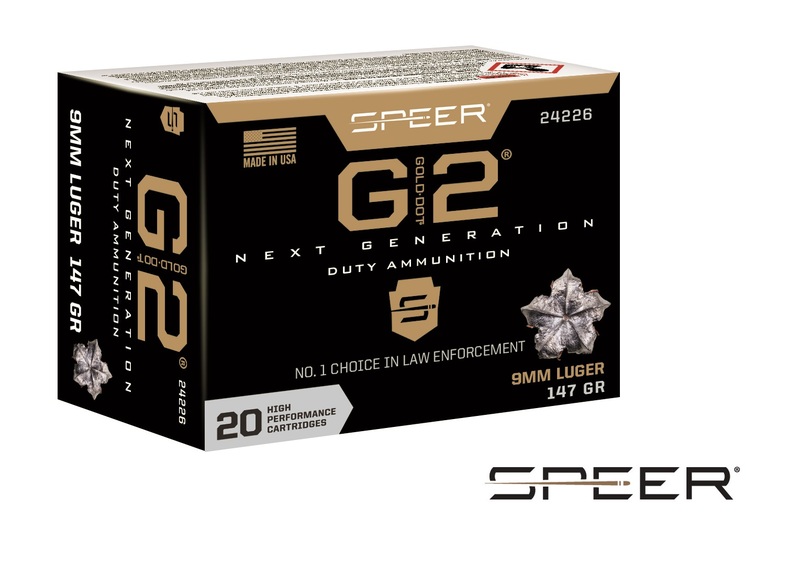 Previously only offered to law enforcement, Speer Gold Dot G2 offers the ultimate performance for self-defense thanks to an exclusive nose design. Instead of a large hollow-point cavity, Gold Dot G2 has a shallow dish filled with a high-performance elastomer. On impact, the material is forced into engineered internal fissures to start the expansion process. The result is extremely uniform expansion, better separation of the petals, and more consistent penetration across barrier types through full-size handguns. The loads are sold in 20-count boxes and available in 147-grain 9mm Luger, 180-grain 40 S&W and 230-grain 45 Auto +P, with MSRPs ranging from $28.95 to $32.95. Attendees at the NRA Show will also be reminded that Speer customers can now buy a limited variety of ammunition and reloading components direct-to-consumer on the Speer website; www.speer-ammo.com. New products and much more from Speer can be viewed at booth 4955 during the NRA Show. For more information on Speer, go to www.speer-ammo.com.